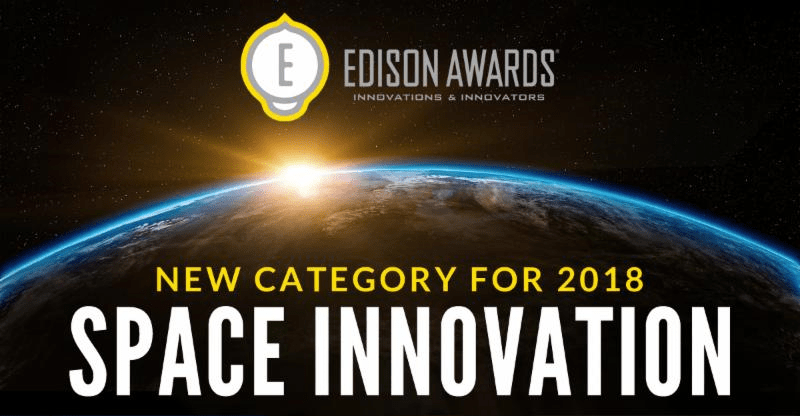 In celebration of over thirty years of recognizing and awarding innovation, the Edison Awards announced today that, in partnership with NewSpace Chicago, they will expand with a new category for 2018: Space Innovation. Originally established in 1987, the Edison Awards have recognized and honored some of the most innovative products and business leaders in the world and is among the most prestigious accolades honoring excellence in new product and service development, marketing, design and innovation. By expanding into space innovation, Edison Awards recognizes that space is becoming an everyday reality for a growing number of people around the world. A confluence of reduced launch costs and new technologies are bringing space within the grasp of many innovators and entrepreneurs. This budding commercial space industry offers solutions for a resource strapped planet and future colonization of other worlds. Opportunities for new innovations span a broad range of applications developed to solve problems here on Earth and that can be scaled to solve key problems in space. Topics sought for nomination cover diverse fields including space vehicles, propulsion systems, communications and sensors, habitats, sustainable ecologies, recycling and waste management, agriculture, biological and health sciences, nanotechnology, smart materials, alternative energy, resource extraction, manufacturing and construction, and more. To learn more about the Edison Awards, visit the web site.